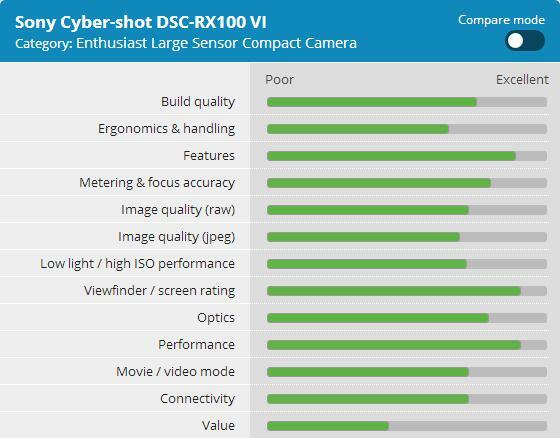 DPReview published their Sony RX100 VI compact camera review and test results: The new Sony RX100 VI camera gets an impressive 83% overall score and Silver Award from the experts at DPReview. The RX100 VI is a very capable camera, combining a flexible zoom range with impressive autofocus. 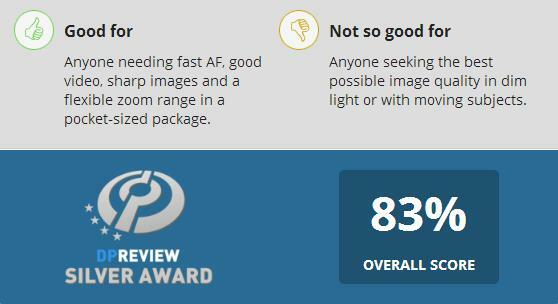 However, the small maximum aperture required to keep the size down limits the image quality in some situations. The relatively high price means you have to really want its unequaled combination of capability and size. 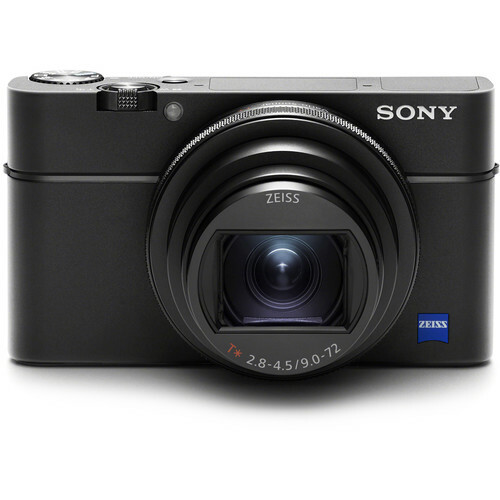 Sony RX100 VI: $1,198 at Amazon, B&H, Adorama. Sony VCT-SGR1 Shooting Grip: $99.99 at Amazon, B&H, Adorama.